What kind of Amber do we sell? 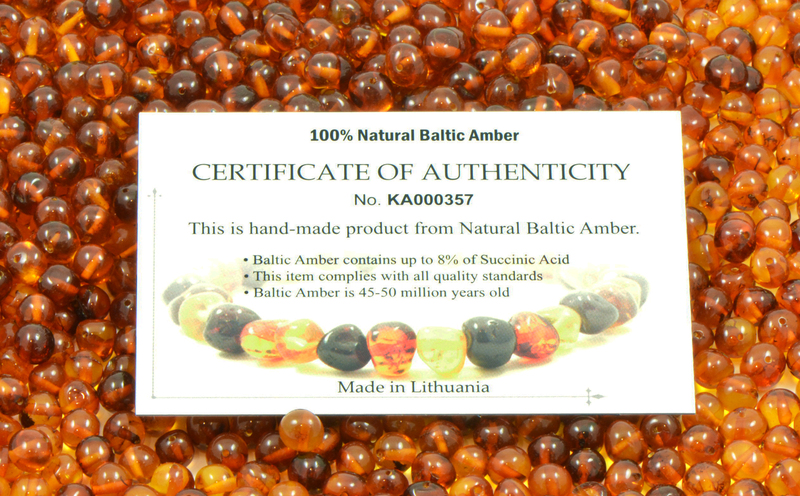 Our Company only sells genuine and natural Amber, which comes from Baltic Sea. So you will not find any fake jewelry or supplies of Amber in this website. 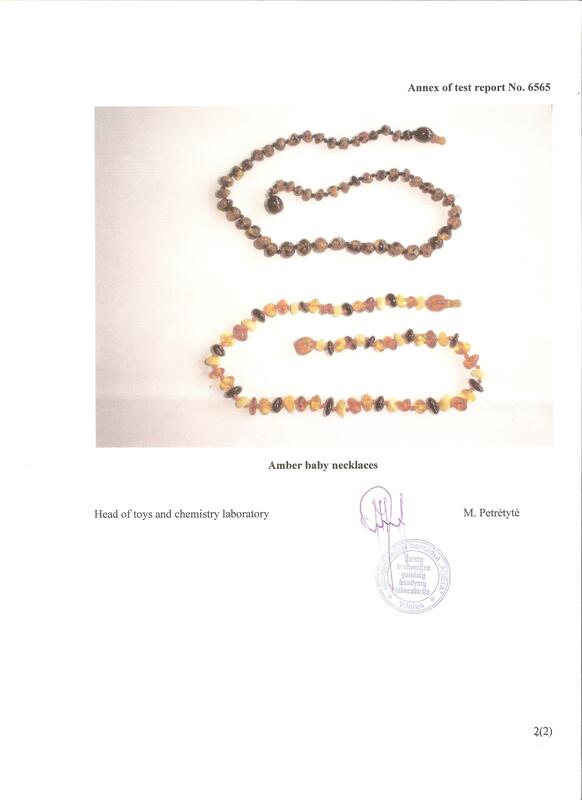 We have been manufacturing Amber jewelry and exporting them to various countries for about ten years already. Due to this we have long term relationships with our clients who rate our products highly and want to do business with us in the future. 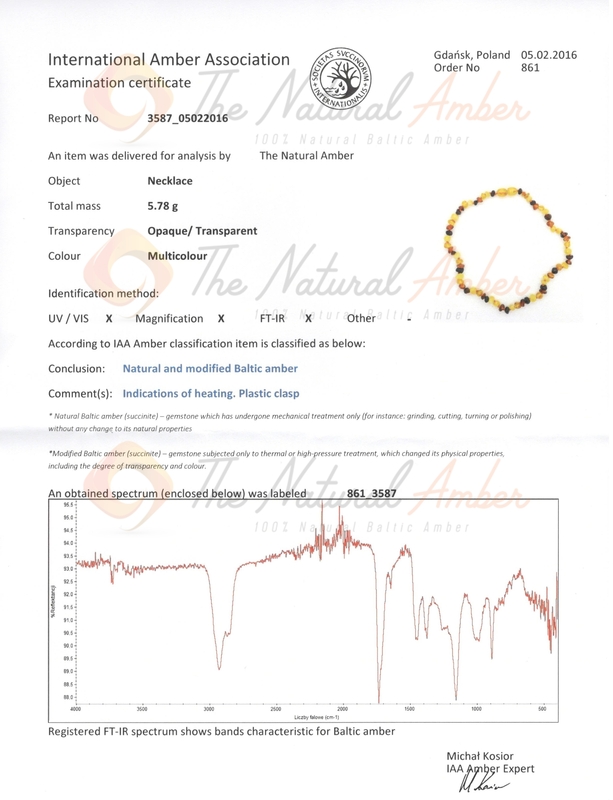 In case you want to be sure that jewelry and supplies that are sold on this website are made from genuine Amber we can provide you with proof. 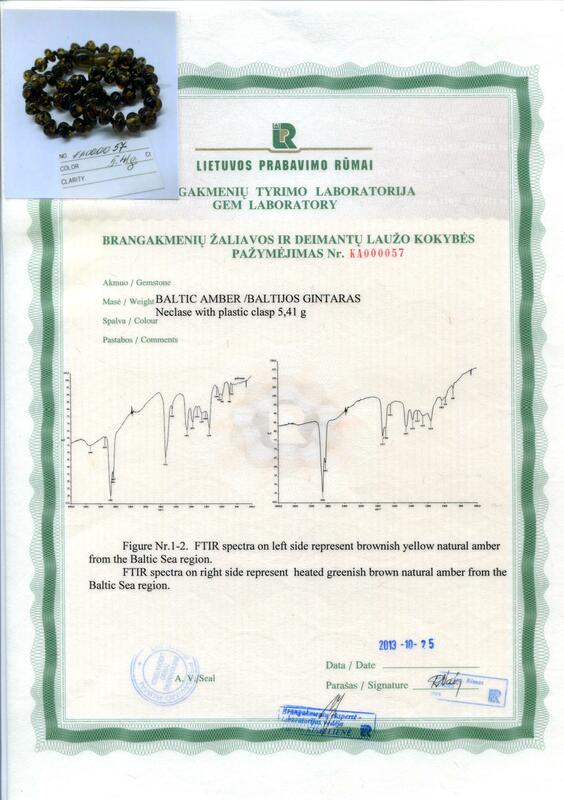 Bellow you can find The Natural Amber company certificates, which prove that we only sell genuine Baltic Amber and jewelry made from it. If you have any questions or doubts about our Amber, feel free to contact us. *Certificate cards and Pet products packaging are sold separately and only included when products are ordered individually packed. Since resources of quality and real Amber are quite limited in the world and demand is high there are also quite a lot of fake Amber in the market. Some of the most common substances used for imitating Amber are Copal, glass, Casein, Modern Plastic, Celluloid and Fenolic resins. They can be quite similar to Amber in appearance so it might be quite difficult for some buyers to tell a difference between them. Usually these fakes are also distinguished into man made and natural fakes. Copal is not a man-made fake of Amber since it is a very young tree resin. So basically it is Amber; however much younger in age. The other difference of Copal is that it tends to melt in a much lower temperature (less than 150 C) and it diffuses scent of burnings resins. When it comes to glass it is much more solid, cold and you wouldn't be able to scratch it with a metal. Celluloid is quite similar to Amber optically; however it is more solid and diffuses burnt plastic when heated. Fenolic resin is very similar to Amber beads in shape and color so the easiest way to distinguish them is through smell. 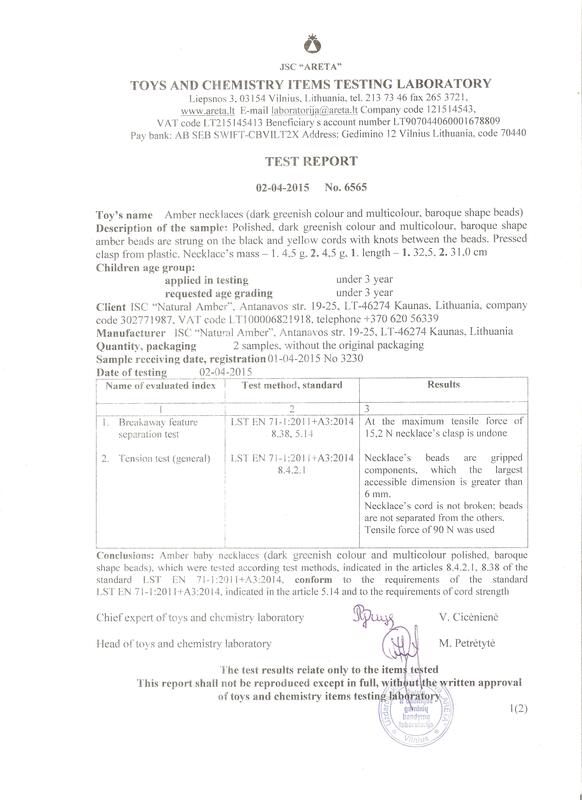 Casein is a form of plastic made from milk those beads are usually in turbid yellow color. It is easy to differentiate Casein from Amber since it is heavier and it diffuse plastic smell when heated. Modern plastic is another substance used to replicate Amber and it can be quite difficult to distinguish them optically. This substance is quite commonly used to make fake Amber inclusions. To separate genuine inclusion from fake you should always ask yourself a question whether it is too good to be true. Falsified inclusions quite commonly contain large insects (larger than 10 millimeters) that tend to be inserted into the center. While it is possible that these kind of inclusions would happen in real Amber they are very rare. You can separate Moder plastic by heating it a little since it will diffuse burnt plastic smell. 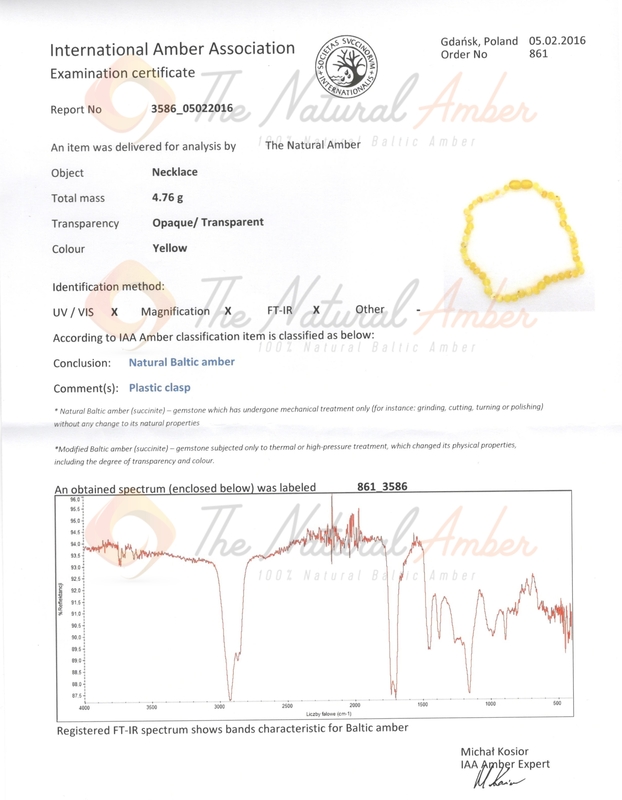 How to tell if Amber is genuine or fake? There are a lot of different tests that you can do in order to determine if your Amber is real or fake. To be completely sure whether your Amber is genuine or not you should consider doing at least a couple of different tests. If it fails one or two tests there is a high possibility that it is not real. One of the most popular methods for testing is to do a Smell test. Real Amber tends to diffuse a smell, which is similar to pine resins and it is quite difficult to obtain it when making not real Amber. When fake Amber is heated it usually diffuses burnt plastic smell and Copal - sweet resins. Real and genuine Amber smell is similar to pine-tree resins. The other good way to tell if Amber is real or fake is to do Scratch test. Since real Amber is smooth you will be able to scratch it, which is not a case with most other fakes who tend to be harder. 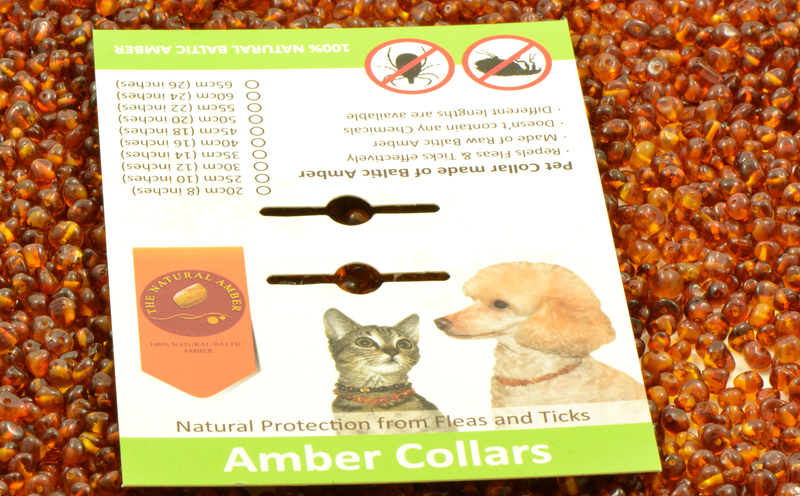 Hot Needle is another popular test that you can do on Amber. Heat the needle until it becomes red and then push it gently into the Amber. If it is real Amber you should notice pine tree resins smell (similar to Christmas tree) and also needle might create some cracks since it is a bit fragile stone. In case the needle goes in very easily and you can smell sweet resins most likely it is Copal. To separate Amber from plastic imitations you can also do Saltwater test. Simply fill 1/3 of cup with salt and then fill the other part with water. Stir it well until salt is completely dissolved. After that add your necklace, bracelet or other type of Amber jewelry into this water. Both glass and plastic imitations will sink and Copal & real Amber should float in this water easily.